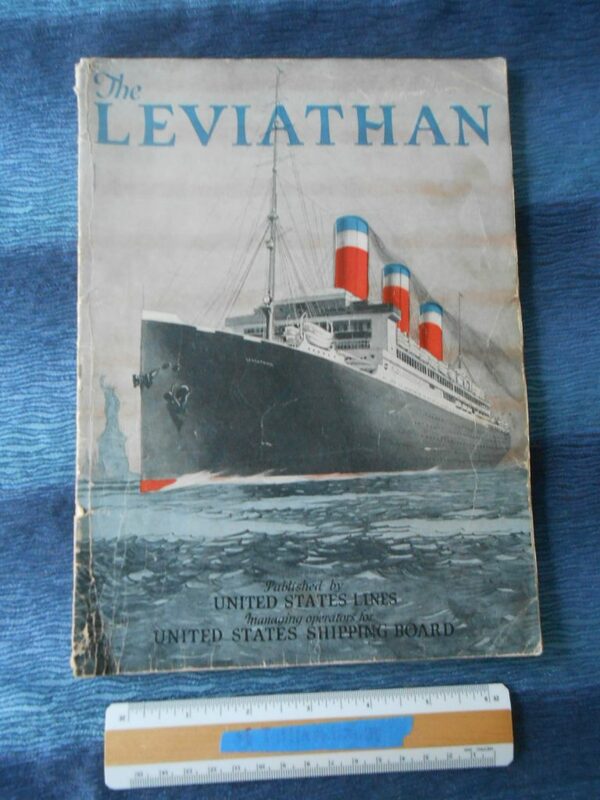 Probably the most detailed and through book on the “refit” of the Leviathan for passenger service. The Americans were certainly proud of this magnificent war prize that gave our nation our first giant flagship. WF Gibbs was on cloud nine as well. Packed with lots of historic info and filled with pictures and period ads etc. The cover has a little wear, a bit of the lower left hand side is detached from the binding.